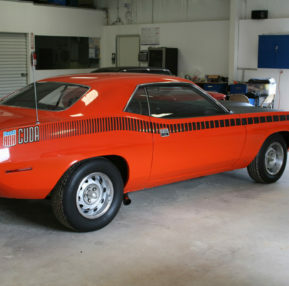 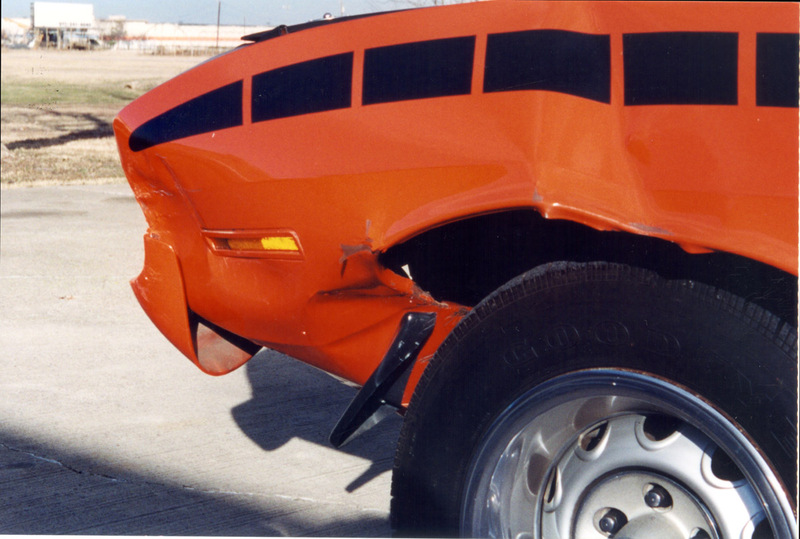 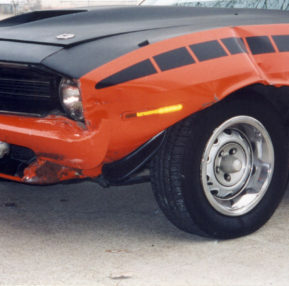 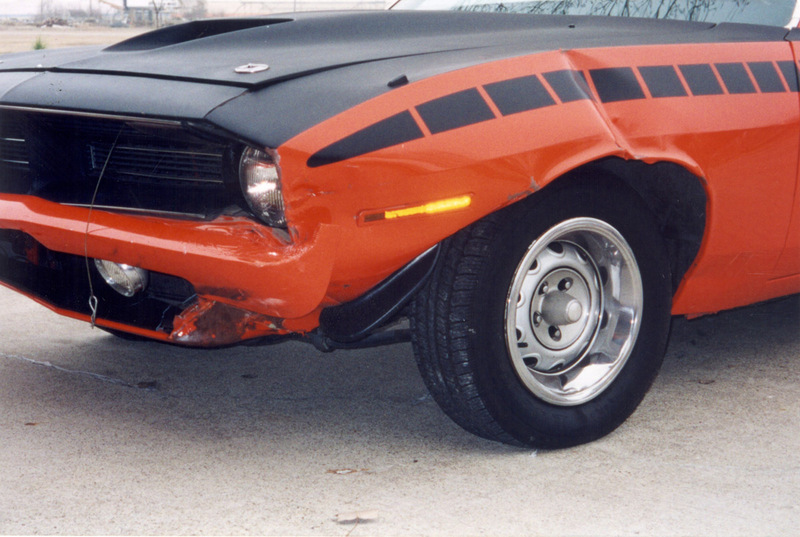 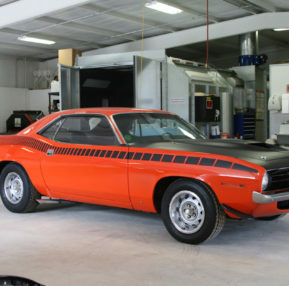 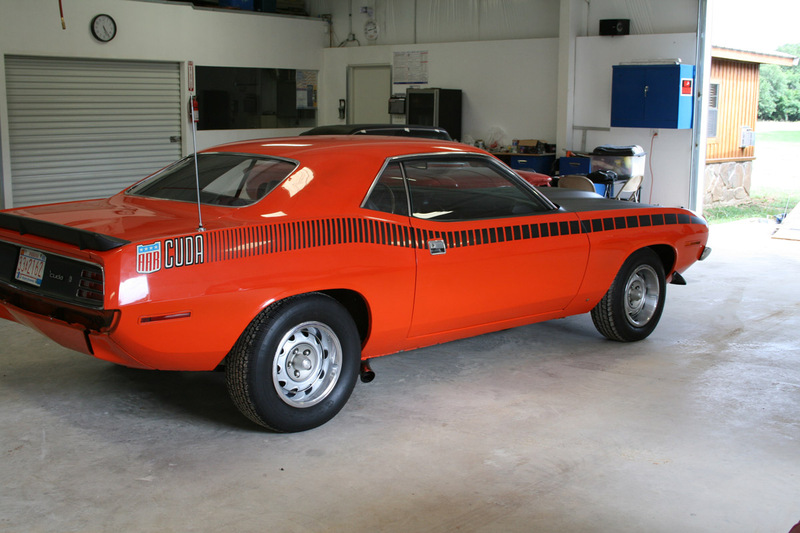 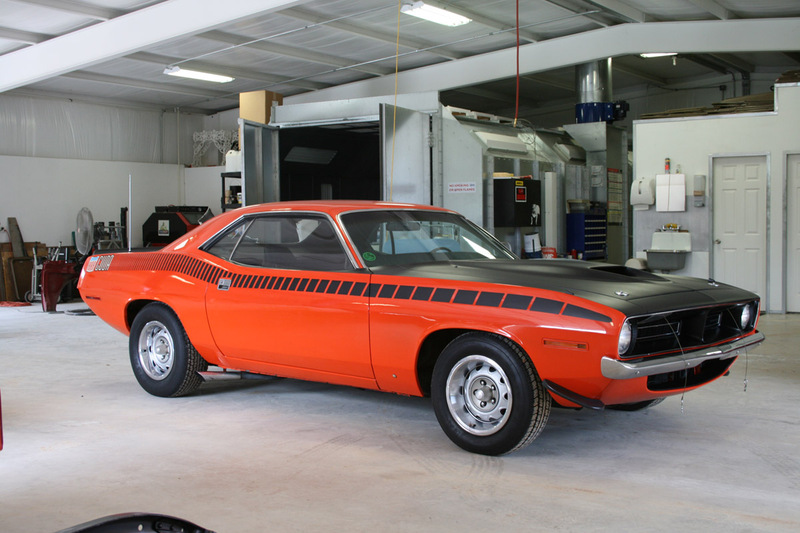 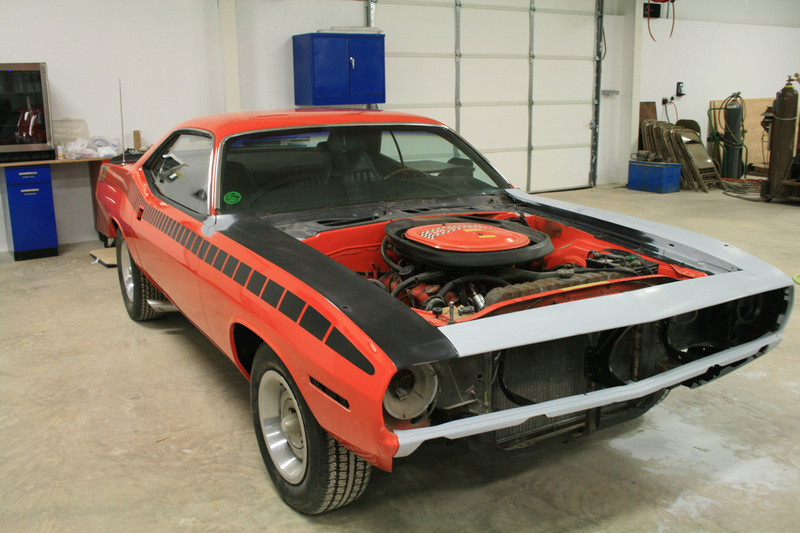 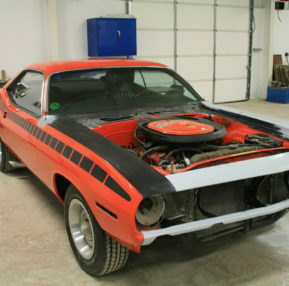 This is an original AAR Cuda that was hit in the front left fender. 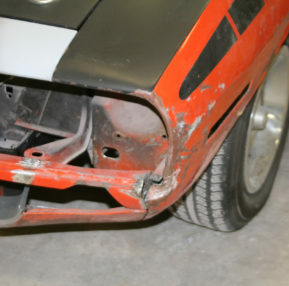 The customer wanted all original pieces repaired. 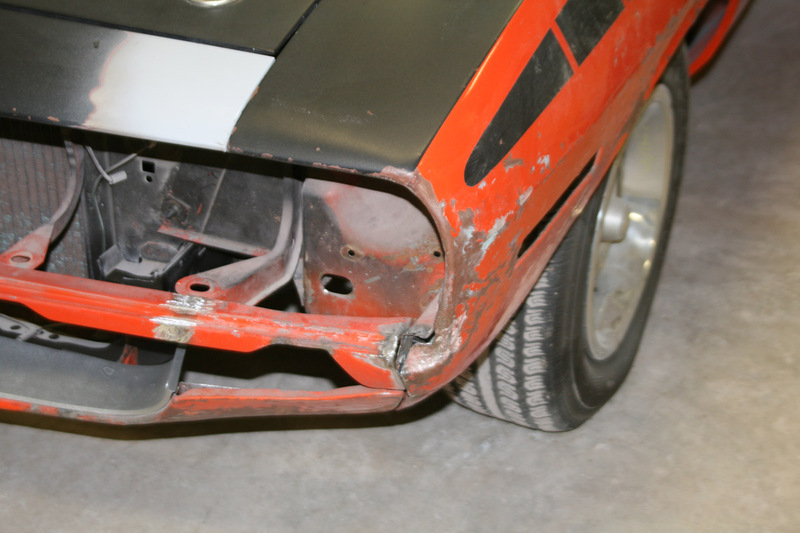 Metal repair was performed on the left fender and lower valance. 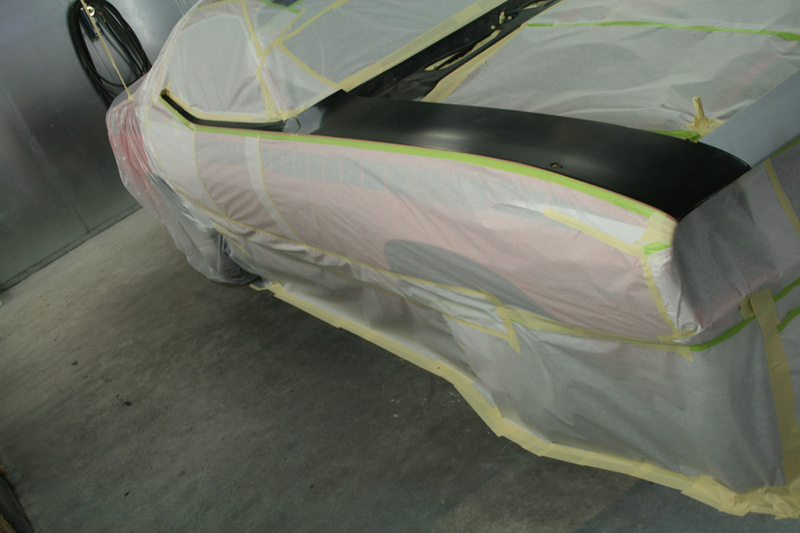 This consisted of shrinking, welding cracks and metal finishing. 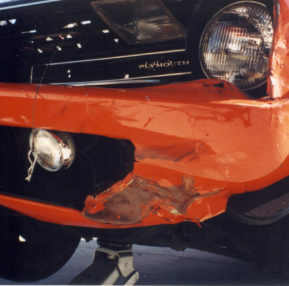 The plastic grille was glued back together with all original pieces and refinished. 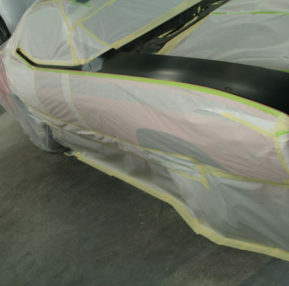 The textured black on top of the car was repainted. 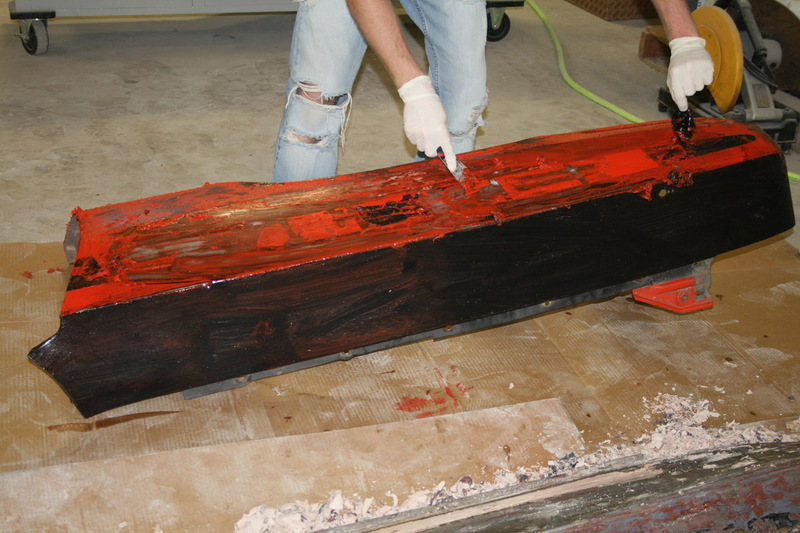 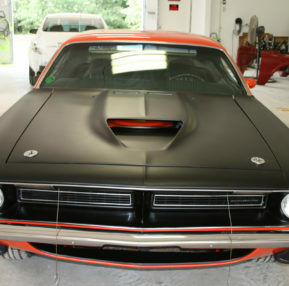 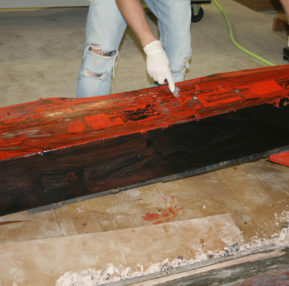 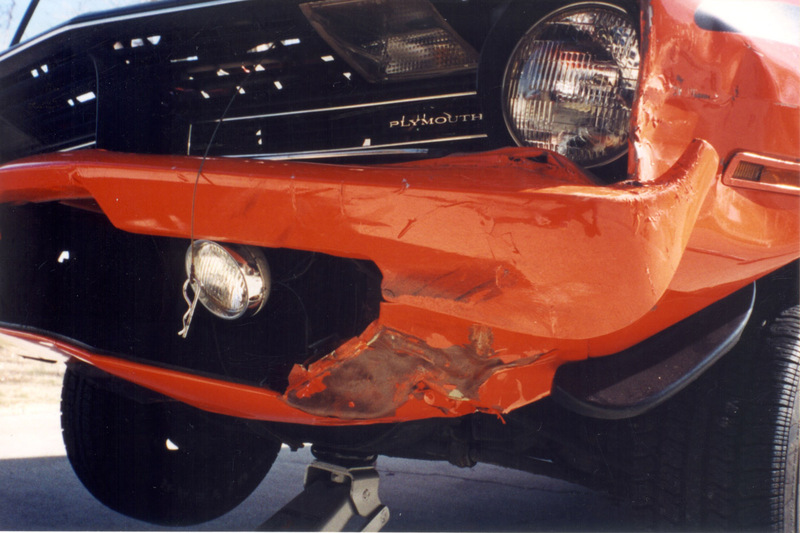 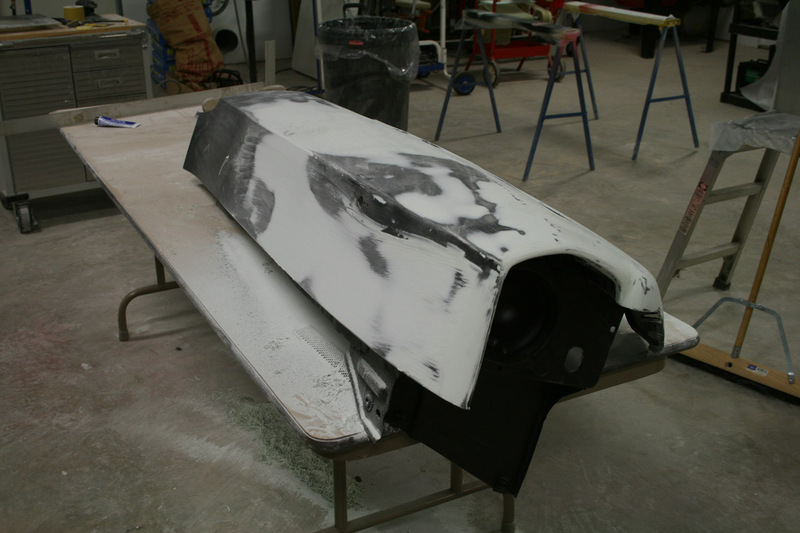 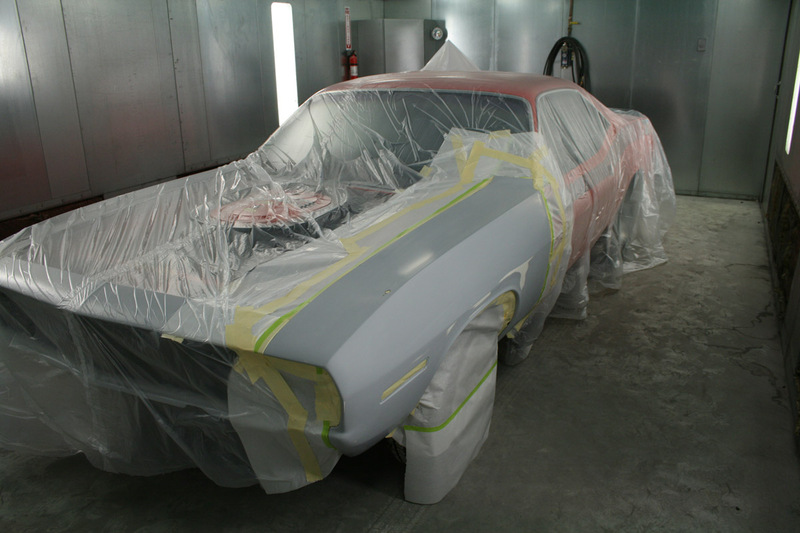 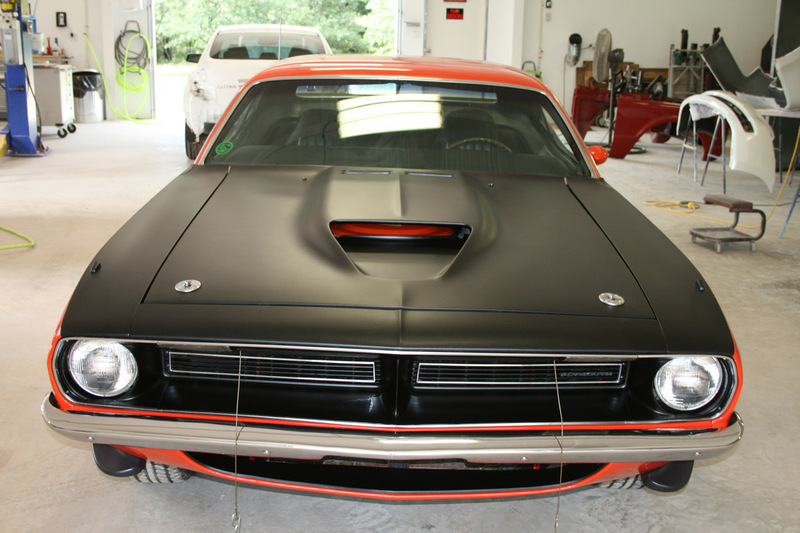 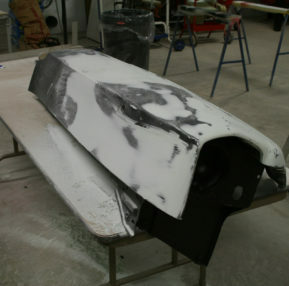 The lower valance, header panel and left fender were all body worked, primed, blocked and refinished. 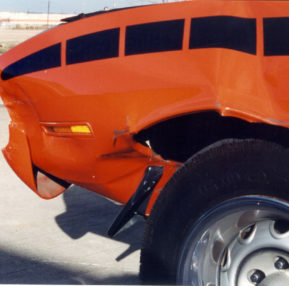 The right fender and both doors were spot repaired.